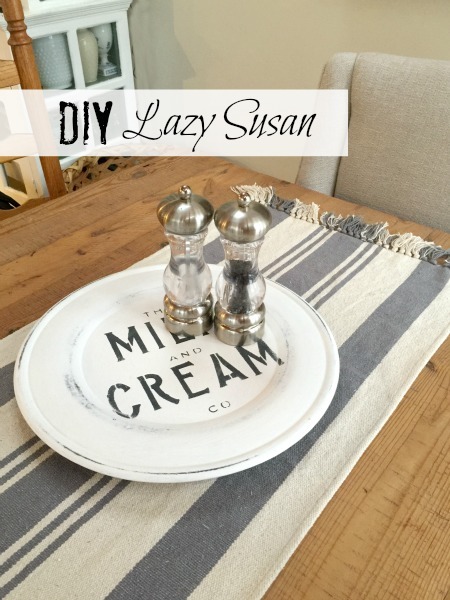 I'm adding affiliate links in this post so you can find the products similar to the ones I used to recreate this project. 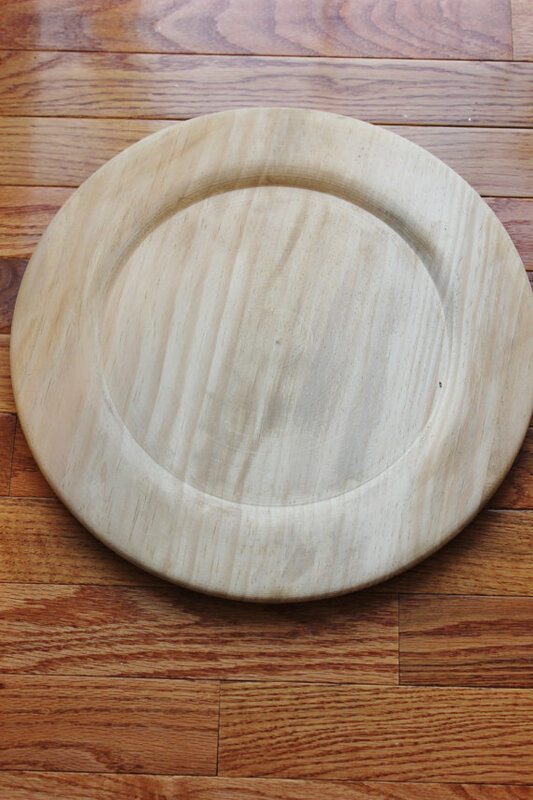 Today I'm using a large wooden plate very much like this one I found at the thrift store. You could use any kind of plate or platter. 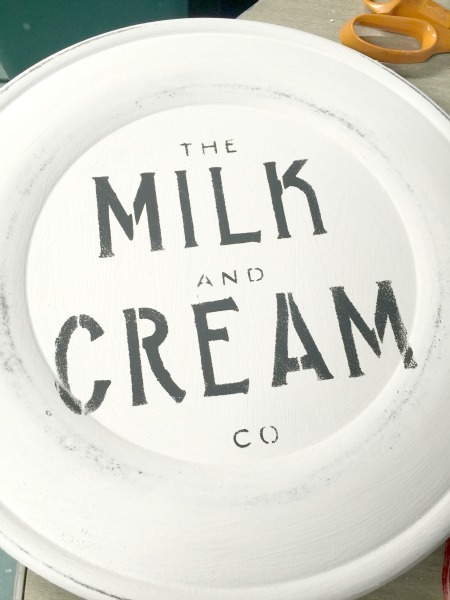 I gave the plate a coat of black chalky paint then a coat of White over the top when the black dried. I used 220 grit sand paper to lightly sand off some of the white so the Graphite showed through. Using one of my favorite Vintage Sign Stencils from Knick of Time. I used the black paint once again to stencil the image onto the plate. When the stencil was dry I sealed the paint. 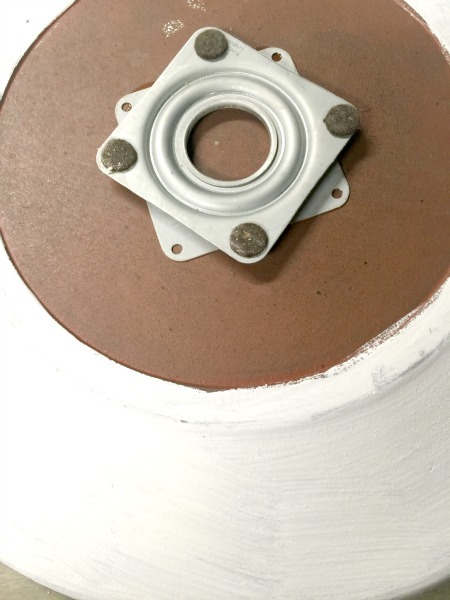 Lazy Susan bearings are added to the bottom of the plate with E6000 glue. 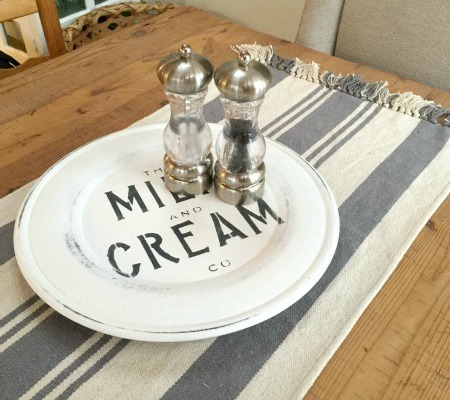 In no time that old wooden plate is ready for the center of the table. 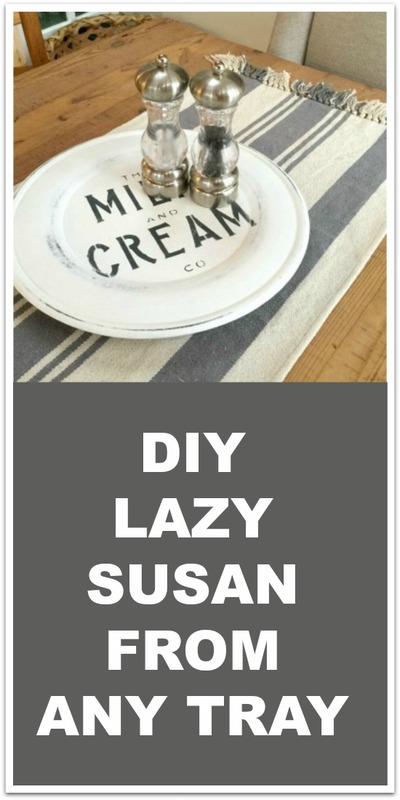 I didn't even know you could buy lazy susan hardware! I will definitely be making one for myself, and I love how yours looks. So glad you are enjoying the stencil! I wish my mind was creative as yours- I love this!! beautiful job Susan! I have that stencil, AND a lazy susan... somewhere!! What a fun idea! 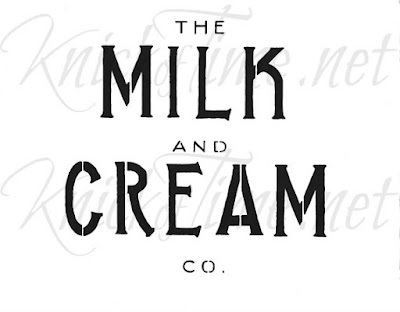 Love Angie's Milk and Cream stencil and this was a perfect project for it. Thanks for sharing at Talk of the Town, Susan. Just curious, do you leave the bottom piece of the lazy susan hardware not attached to anything? Does it still spin freely or does it slide around the table when you try to spin it? The lazy Susan is all one piece Jess. It is attached to the bottom of the platter and just spins. :) Hope that helps. The hardware is called a flat square Lazy Susan bearing. You can buy them at most hardware stores. Helped my parents upgrade their pantry last summer and we put a bunch of them in the deep corner space that always ends up in pantries. I believe we got ours for around $5. How is it attached? Glued? Or with screws? The lazy Susan piece is attached to the bottom of the plate with E6000 glue. It will hold forever! Thanks for asking!